The question was posed to me, not long ago: What does it mean to be a Combat Veteran? What does it feel like? What does wearing that mantle amount to? To be frank, when first asked, I had to stop and think about it. I think that many combat vets will agree with me when I say it’s not something we actively dissect or break down. It’s a status and an achievement that comes part and parcel with service to your country, should your country need you in a time of conflict. Nothing more, nothing less. Just that. We sew the badge onto the uniform of our soul—much like we would service stripes to the sleeves of our dress blues—and then press on. One more notation in a term of service. Yet since I was asked to describe it, here are my thoughts and feelings from the heart on what it means to have this honor. Pride – For me, pride is the most prevalent of all emotions when being called a Combat Veteran. Pride. Not everyone who has served our country has served in a time of conflict or deployed abroad to defend it. This, of course, does not lessen their honorable service in any way. They joined up fully knowing that serving in a time of war was a distinct possibility, and they joined anyway. Anyone who is willing and able to bear that burden and offer their sacrifice to our nation is an incredible individual who deserves to be recognized for their dedication to the nation, and deserves to feel proud. Those who were called forward and had the opportunity to serve when our nation needed us in that time of conflict know the tremendous swell in having done so. I was in my third year of ROTC (Reserve Officers’ Training Corps) on 9/11. As the planes hit, I knew, as many in my program did, that our service was destined to be one of conflict and war. Like those of generations past, we rolled up our sleeves and went to work, forgoing family, fortune, and friends, in service to our country. Then we met the enemies of our country head-on. That’s where the pride comes from. That’s why it is carried so prominently. There was a need, the direst of needs, and we met that need willingly and selflessly. Those fortunate enough to return home know that it is something that can never be taken from us. Guilt – I just mentioned being fortunate enough to come home. While I swell with pride at serving, I also weep with guilt for those that I served with who didn’t return home. They don’t get to join the VFW or run with Team RWB. They don’t get to march in the parades or celebrate what they achieved. Their families’ hearts will never truly mend from their loss. And yet I am here. Why am I here? Why was I one of the fortunate ones? Or worse, could I have done something different on a day when a fellow soldier was lost? Did I give everything I had, or did I make a mistake? Could I have done better? It is a strange, never ending intense struggle, and many of us must work long and hard to keep these emotions in a steady, healthy, balance with one another. We accept this burden as part of serving the nation we so love. Camaraderie – The bonds forged among those who have endured combat are unique. There is nothing like these attachments. When you have made the choice to serve—when you have trained together, deployed together, faced the enemy together, wept and laughed together, endured all the hardships that come with this together—you feel an unmistakable bond to one another. Here are men and women that, although one-time strangers to each other, are now as close to you as brothers and sisters. You have been subjected to the fire and emerged triumphant, and that is something that only another Combat Veteran can truly understand. Do we all get along, have secret handshakes, and the like? Certainly not. Yet put two Combat Veterans that are strangers in a crowded room, and I’ll bet dollars to donuts that not only will they end up seeking each other out, but they’ll strike up an instant kinship, based on the shared knowledge that they experienced something rare and special, and lived to tell the tale about it. Service – It all comes back to service, and truly this applies to all Veterans, not just those of the combat distinction. Being a United States Military Veteran is a celebration of your service, yes. Once achieved, it can never be taken from you—you have that until the day, “Taps” plays long and somber over your folded flag. Yet, it is more than just the service of the past. It is about the service of the present and, if need be, the service of the future. Make no mistake, Soldier, Sailor, Airman, Marine, or Coast Guard, whether you served your time or you’re still active, we continue to look to serve our communities, our friends, one another, because that is who we are. Simply removing the uniform and hanging it in the back of the closet does not mean that you cease being the Soldier you once were. For me, for most of us, our service is our way of life. It has forged us and it continues to dictate how we approach the civilian chapters of our story. Among many things, Veterans are looked on as reliable, steadfast, and honorable. We stand ready and willing because we have endured, and we can endure. You can look to us because we will put you first, and put this country first. Ours is a dedication to serving the greater good, ensuring the survival of the nation, living to be a small part in something much larger than ourselves. We carry ourselves and conduct our lives through this mantra. When things truly get bad just know that we are here. We’ve done this before. We’ve served our time, yes, but if our friends, family, community, or Nation require us in a time of need, then, by God you know that we will be there and will serve again in a heartbeat. To me, in my eyes and in my heart, this is what it means to be a Veteran. 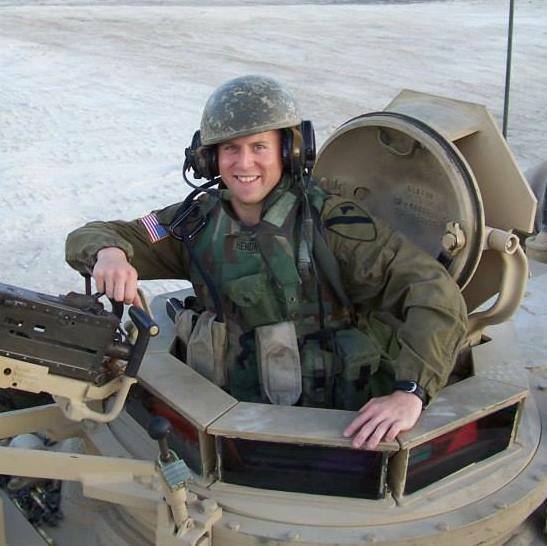 Tim Hendrickson, Operations Director for TruView BSI, LLC, is a former U.S. Army Captain who completed two deployments in support of Operation Iraqi Freedom.